Q. What penalty will I get if I violate University policy? Q. Will my family find out? A. Student conduct files are considered part of your educational record and, in most circumstances, cannot be disclosed without your consent. Your family will know only as much as you choose to reveal. If you would like your family or some other party to have access to information about your case, you must grant the University written permission to release that information. You can find a release authorization form here (PDF). Q. Will the disciplinary charges appear on my transcript? A. If you are suspended or expelled, that sanction will be noted on your transcript. A suspension is noted only during the suspension period; once the suspension has been served, the notation will be removed from your transcript. Expulsions are permanently noted on the transcript (except in cases where clemency has been granted). Transcript notations indicate only the sanction; there is no detailed information about the complaint or the charges. The Office of Student Conduct maintains a student conduct record that is separate from your transcript. All information about your disciplinary case is contained in this record. This information is considered part of your educational records and, in most cases, cannot be released to outside parties without your permission. The record maintained by the Office of Student Conduct is automatically destroyed ten years after the final resolution of your case (except in the case of expulsion; expulsion records are retained permanently). See Conduct Records and Transcripts for more information. Q. What happens if I'm charged with a policy violation that's also a criminal or civil offense? A. The University conduct system is entirely separate from the criminal and civil justice systems. University proceedings may occur before or even during the resolution of a criminal or civil case. The resolution of a case in civil or criminal court does not affect the University’s conduct process. A: Student conduct proceedings at the University do not follow the same criminal or civil procedures used in a court of law. Most cases can be resolved without lawyers. You may hire an attorney at your own expense, if you choose, but it is not required. If you are charged with a violation of University policy that is also a criminal offense, you may find it helpful to seek the services of an attorney. However, your attorney cannot speak for you in a University proceeding; they can can only accompany you as a support person. If you are considering hiring an attorney, Rutgers University Student Legal Services can provide you with legal guidance and referrals. If you do decide to retain counsel, please share Frequently Asked Questions from Attorneys with your lawyer. If you would like your attorney to have access to information about your case, you must grant the University written permission to release that information. You can find a release authorization form here (PDF). You may wish to consult a Campus Advisor, a member of the University community who can help you understand the conduct process and prepare your defense. Q: What is an Interim Suspension? A: When a student is alleged to have violated the University Code of Student Conduct and poses a potential threat to themselves, to others, or to property, an Interim Suspension may be implemented. A student under Interim Suspension is immediately removed from the University community. The student may not attend classes, reside in the residence halls, or otherwise be present on University property until the matter has been resolved. A. If you are an instructor wishing to report an academic integrity violation, visit Academic Integrity at Rutgers for instructions and our online reporting form. 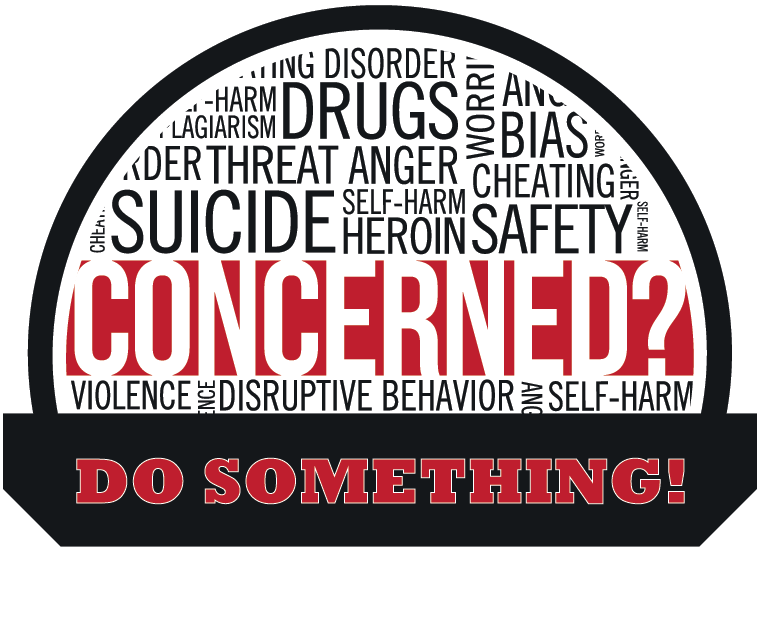 If you would like to report other concerns, use our online reporting form. Someone from the Office of Student Conduct will contact you. While you can anonymously report behavior, please note that we may be unable to take any action from an anonymous report. Q. What happens after I file a complaint? A. A Conduct Officer will review the complaint and conduct an investigation. Depending on the outcome of the investigation, the matter may be resolved in a number of ways. See The Conduct Process for an explanation of the next stages. Q. What do I have to do as the complaint party? A. You will explain your side of the case to the Conduct Officer conducting the investigation and provide any information or witnesses that support your complaint. If the case goes to a hearing (not all cases do), you will be responsible for explaining the complaint and presenting your information and witnesses. The burden of proof rests with the complaint party. A student can be found responsible for a violation only if the allegations are proven by clear and convincing information (in academic integrity matters) or by a preponderance of information (in all other cases). If the case goes to a hearing, you should be prepared to ask questions of the accused student, their witnesses, and your own witnesses. The accused student and the Conduct Officer or University Hearing Board will also have the opportunity to ask questions of you and your witnesses. You may wish to consult a Campus Advisor, a member of the University community who can help you prepare your case. Q. I want to report a possible violation, but I don't want to act as the complaint party. What will happen? A. If you are reporting an academic integrity violation, a Campus Advisor or Academic Integrity Facilitator may present the case on your behalf, while you appear as a witness. In non-academic matters, another member of the community may be appointed to bring the complaint forward on your behalf, if the Director of Student Conduct believes that it is in the best interest of the University community to proceed. You will be called as a witness if the case goes to a hearing. Q. What happens to the accused student if they are found responsible?